One of the best kept secrets! It may surprise you but people don’t like change, for you, that’s a good thing. As you have the change to learn this powerful tool before the rest of your colleagues and classmates catch on. If you’ve completed the ‘Getting Started’ course, now’s the time to get stuck in and learn the power of MIDI in Ableton Live 10. 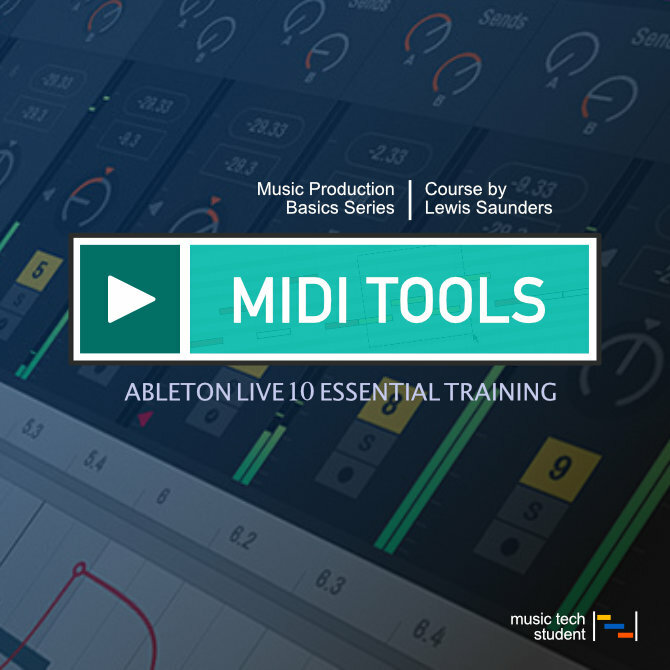 In this course, you will be introduced to Ableton Live 10 MIDI Tools and how to use and produce creative music productions using them. The aim is to walk you through the basic functionality that will get you up and running with MIDI and then move onto some more complete areas of using MIDI both internally and externally. This course will guide you through the basic everyday tools and processes. By the end, you will be able to confidently sequence and produce MIDI parts using everyday functions and techniques. Prior Knowledge: Completing the ‘Getting Started’ course would be beneficial if you have no prior knowledge of Ableton.